SandraLaya Ruch shares her own personal journey as a Celebrant of Life Cycle Events, Healer, Human Rights Activist, Teacher, Motivator, Mother, Grandmother, Woman, Feminist and so much more. Her stories are fun, informative, irreverent, humorous, wacky and eclectic…………..in essence……………Sandra at Sixty (well almost). Inspired and inspiring. She encourages all women to find their inner light and to live in the moment. She is a firm believer that anything is possible and each of us must dare to dream. She encourages women not be held hostage to our victim story but to use our survival as a reminder of our strength and possibilities. Her workshops are especially popular in women and family centres for both clients and staff. She ran a women’s program at Merrymount Children’s Centre for many years. She has facilitated workshops for organizations including the Oneida Nation of the Thames is an Onyota’a:ka First Nations band, Association of Iroquois and Allied Indians (AIAI), Women’s Community House, Second Stage Housing, and Child Reach. SandraLaya is a deeply committed activist and advocate to the rights of women and children. She retired recently, after almost a decade as the National Coordinator of Canadian Voice of Women for Peace (VOW). VOW is the only national Feminist peace organization in Canada. She has lived in conflict areas, working with International Feminist organizations. As a result of her human rights advocacy, she has been arrested and detained several times both abroad and in Canada. She has spoken about her experiences to audiences across Canada and Internationally. For 2 ½ years SandraLaya volunteered with Isha L’Isha – Haifa Feminist Coalition and as a result was chosen to be the keynote speaker at a Human Trafficking Conference in Boston, MA organized by the Washington based group FAIR Fund and the National Women Law Students’ Association at Suffolk University Law School. She is currently enrolled in a clergy ordination program to become a Kohenet (Hebrew Priestess). SandraLaya is a Life Cycle Officiant, a Healer working in several modalities including Reflexology and Aromatherapy, a writer, and motivational speaker. Both a Mother and Grandmother, SandraLaya raised her daughters independently facing many of the struggles familiar to single parents. She is no stranger to domestic violence and the dangers that women experience in a patriarchal society. “We must look for the opportunities waiting for us”. Hello! I’m doing the Blogging 101 course (again) and today’s task is to find and comment on some new blogs that we have t seen before. I went to the Reader and searched for women over 50 and up you popped. It’s great to find you! You write really well about interesting stuff. And it’s good to find someone in another part of the world! I live on a boat in Greece with Tim and our cat, but. We are currently back in the U.K. visiting friends, family and young grandchildren for a while. 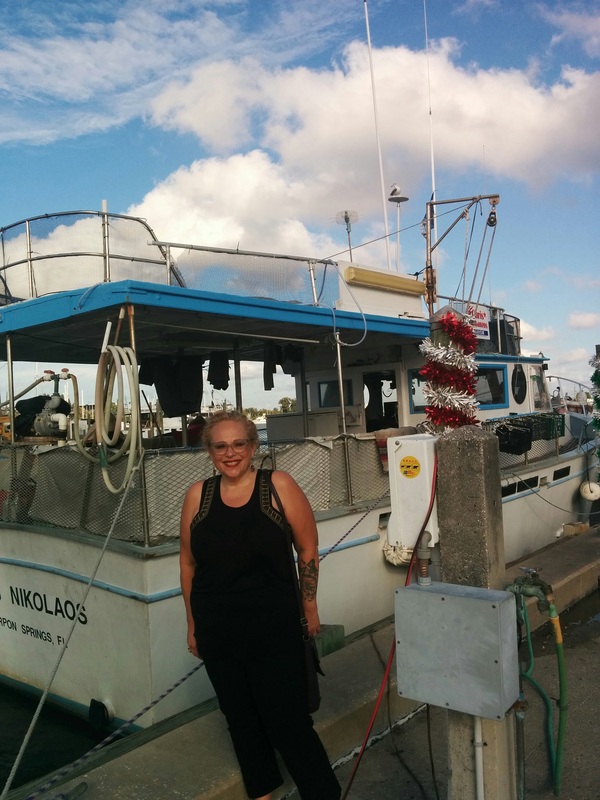 I lived on a boat in Greece in 2011. What an experience. I would love to do it again. I am going to follow your adventures now. Sounds like you are living life abundantly.